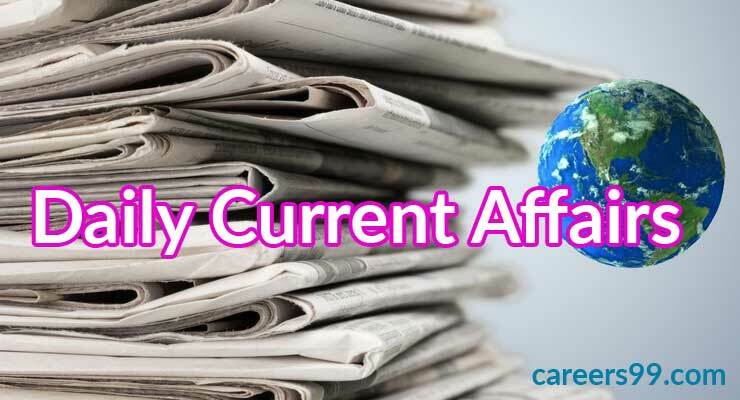 This post contains important current affairs of 19 August 2018. It includes all Major National, International, Business and Sports related current affairs of 19 August 2018. A brief explanation of every current affair is provided to further enhance your general knowledge. Once you have gone through these current affairs we would recommend to you to try 19 August 2018 Current affairs test. Joint military exercise between Indian Army and Royal Thai Army has culminated. This is an annual event designed to strengthen the partnership between Royal Thai Army and Indian Army. NDRF is on with The Biggest Relief and Rescue Operation in flood-affected Kerala. The National Disaster Response Force is a specialised force constituted “for the purpose of specialist response to a threatening disaster situation or disaster” under the Disaster Management Act, 2005. The 11th World Hindi Conference has started in Port Louis, Mauritius. ‘Hindi World and Indian Culture’ is the main theme of the Conference. Pitch Black a biennial multi-national large force employment warfare exercise was hosted by Royal Australian Air Force (RAAF) in Australia. Indian Air Force had earlier participated in the exercise as observers for the first time. With participation of 16 nations and more than 140 aircrafts, the current edition was the largest Pitch Black ever conducted by Australia. Imran Khan took oath as Pakistan’s new prime minister. He is the chairman of Pakistan Tehreek-e-Insaf (PTI) and secured 176 votes. The World Humanitarian Day is observed on August 19 across the world. NotATarget is the 2018 campaign for World Humanitarian Day. Former UN SG Kofi Annan passed away at 80. He served at the UN from 1997 to 2006 and was also awarded the Nobel Peace Prize. Venezuela devalued its currency by about 95 percent and rollout of a new bolivar called sovereign bolivar(based on the country’s Petro cryptocurrency). This is a part of economic recovery plan which seeks to loosen the grip of hyperinflation on the country. PVR Cinemas has completed the acquisition of 71.69% stake in SPI Cinemas(Chennai-based chain). The deal is worth Rs 850 crore. IRDAI notified insurance companies to cover medical treatment for mental illnesses same as it is to cover for treatment of physical illnesses. The order will applicable on all insurance companies in India with immediate effect. India defeated Bangladesh in the final. South Asian Football Federation (SAFF) Under-15 Women’s Championship was concluded in Thimpu, Bhutan. Esow Alben(19 year old Teen) claimed a Silver Medal at the UCI Junior Track Cycling World Championships in Aigle, Switzerland. He missed Gold Medal by 0.017 seconds. 572 Indian athletes are participating in 36 different sports categories. Chef de Mission Brij Bhushan Sharan Singh. Bajarang Punia won first Gold Medal for India.